This lesson will guide you through the process of printing Secondary Report Cards. 2. Under Secondary Report Cards, select Print. Use the filtering options to select the exact students you would like to print for. Select your Report Card Template. Grading period selection when printing should also follow the grading period number order to print correctly. Once you click Generate Report Cards, you will receive a success message, the Report Cards will generate on the Batch Jobs page. Click the Batch Jobs link to be directed to that page. 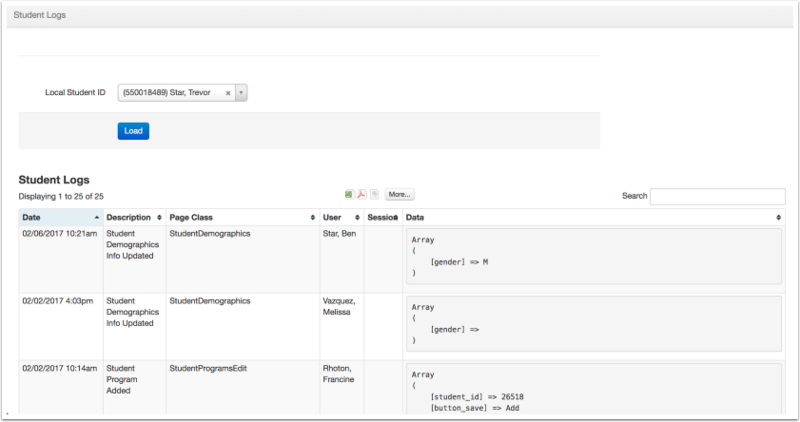 On the Batch Jobs page you will see your Report Card Job with a status of 'Running' until it is finished. Once done, you can Download your Report Cards. The Scheduled Jobs page does not automatically refresh. It is recommended to refresh your browser periodically to check the status of the job generating report cards. Report Cards can generate en masse up to 1500 at a time. 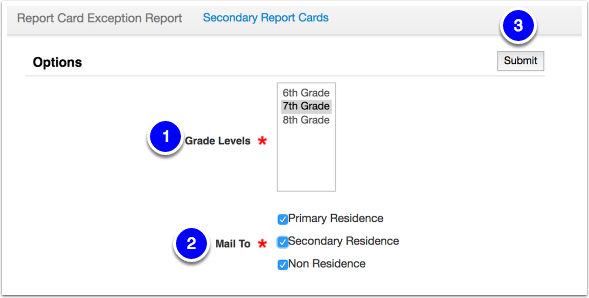 If the site you are printing report cards for has more than the allowed number for a print job, use the filters to print by grade level. Once you have selected Report Cards to print, it is advised to run an Exception Report. 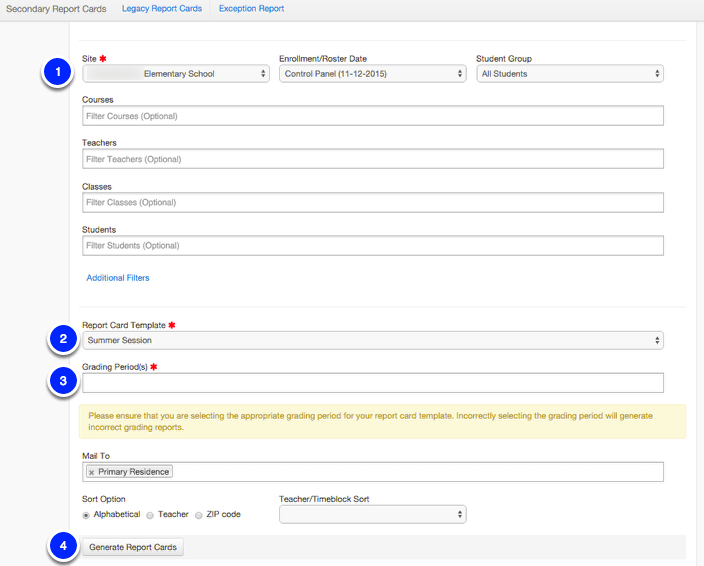 An Exception Report, will allow you to see a list of students that a report card was unable to be generated. Select the Grade Level(s) of students to view whom did not receive report cards. Select the Mail To criteria of the information desired in the report. What do the print options mean and how do they work? Primary Residence For X student, the "To" address label will be based on the Primary Household for which the student resides and there is at least one legal guardian within that household. Non-Primary Residence For X student, the "To" address label will be based on any non-Primary household for which the student resides and there is at least one legal guardian within that household. Non-Residence For X student, the "To" address label will be based on any non-Primary household for which the student does not reside and there is at least one legal guardian within that household. Results will display below. With each student an Error Msg will display with why a report card did not print. To see more ifnormation about the student and the error in question, select the Student ID to be taken directly to where the error is housed. In the example above, noticed how the error in question was due to lack of legal status assigned to at least one contact. Once the error is corrected, the next print job will include the student as expected. If there are students not including in the printing job, while the Exception Report can be helpful, you may want to refer to Student Logs. You can learn more about Student Logs by visiting Student Logs lesson. Now that you have printed Report Cards, move forward to Transcripts.